Wanted to make some Valentine's Day cookies for Jolie to bring to school, but I wanted something more healthy, so I found this recipe online. Since I'm going to glaze the cookie with royal icing, I decided to cut the sugar by half. You can check out the original recipe here. In a large bowl cream together butter and sugar; add pumpkin and vanilla and mix well. In a separate bowl combine flour, Baking Powder and baking soda. Add to creamed mixture and mix until thoroughly combined. Refrigerate dough for at least 2 hours, until firm. Line cookie sheets with parchment paper and preheat oven to 350 degrees F.
In the bowl of your electric mixer (or with a hand mixer), beat the egg whites with the lemon juice until combined. Add the sifted powdered sugar and beat on low speed until combined and smooth. 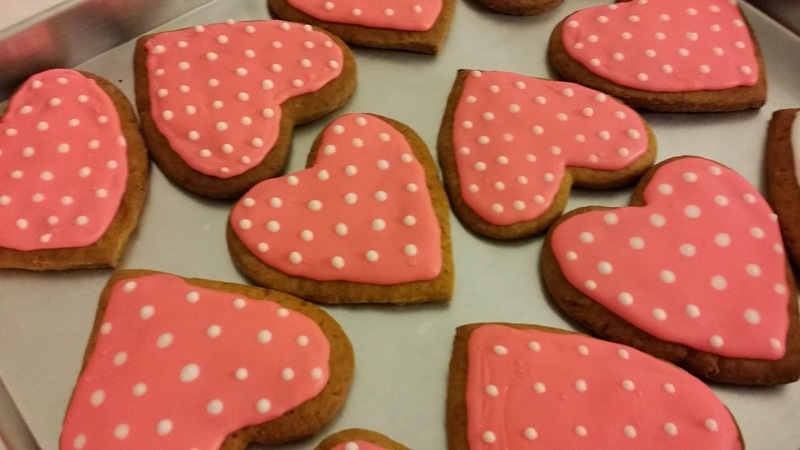 The right consistency to cover or "flood" sugar cookies is when you lift the beater, the ribbon of icing that falls back into the bowl remains on the surface for a few seconds before disappearing. If the icing is too thick, add a little water. 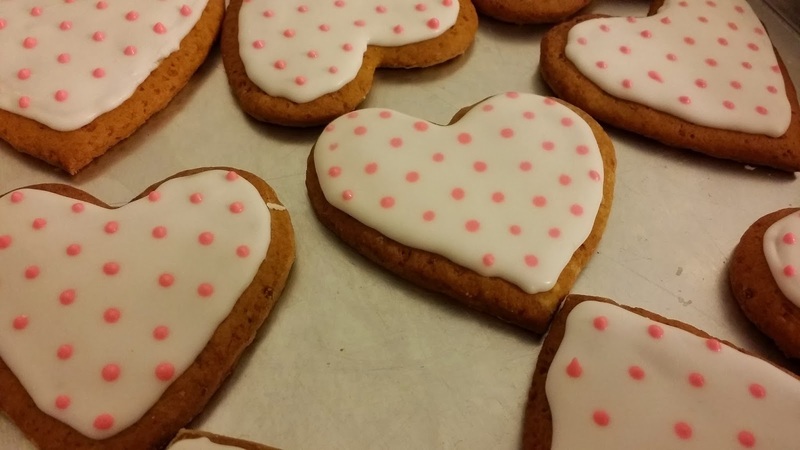 The icing needs to be used immediately or transferred to an airtight container as royal icing hardens when exposed to air. Cover with plastic wrap when not in use.